Okay, so you don’t just want better focus. You want better amplified focus, which means you’re probably wondering if you want GNC AMP Amplified Focus, the Cognitive Performance Support supplement by, well… GNC. And lucky you! — that’s the whole intent of this GNC AMP Amplified Focus review: to let you know if this supplement’s worth the buy. However, cognitive performance isn’t the only target goal of this supplement GNC AMP Amplified Focus also makes physical performance health claims, sort of taking a mental-physical hybrid approach to cognitive enhancement. Which is a groovy idea …so long as it works. My first impression suggests that GNC AMP Amplified Focus might have the cognitive aspect of this formula down, but I’m not so sure about the physical part. But, again, that’s just my first impression. To get my second, third, fourth — and so on — impressions, you’ll need to read my GNC AMP Amplified Focus review. Who Takes GNC AMP Amplified Focus? Conclusion: Does GNC AMP Amplified Focus Work? GNC AMP Amplified Focus is one part Cognitive Performance Support and another part Advanced Muscle Performance. Herbal extracts and natural stimulation, GNC AMP Amplified Focus takes a more legitimate, legal, modest approach to performance enhancement. Mind Over Matter — this is great advice from a personal trainer or sport coach, yet I’m afraid Amplified Focus places too much emphasis on brain health over physical performance in this mental-muscle hybrid stack. Other Ingredients: Microcrystalline Cellulose, Hydroxypropylcellulose, Croscarmellose Sodium, Hydroxypropyl Methylcellulose, Crospovidone, Silicon Dioxide, Povidone, Stearic Acid Vegetable Source, Titanium Dioxide (Mineral Whitener), Magnesium Stearate Vegetable Source, Polyethylene Glycol,Talc. Directions: As a dietary supplement, take two tablets daily. Choline (as Choline Bitartrate) – Choline is great for brain health, due to its role in phosphatidylcholine and acetylcholine syntheses… however, choline bitartrate, as an ingredient, isn’t great for brain health, as it has a hard time crossing the blood-brain barrier. Citicoline or alpha-GPC would’ve been better nootropic options. More on Choline. L-Tyrosine – Awesome anti-stress amino acid, L-tyrosine helps sustain mood and focus under conditions of heavy stress and fatigue. Great for the sleep-deprived students and overworked athletes. More on L-Tyrosine. Rhodiola Rosea Root Extract – Another awesome anti-fatigue ingredient, Rhodiola is a powerful herbal adaptogen for natural stress and fatigue resistance. I use this for both mental and physical performance enhancement. More on Rhodiola Rosea. Rhodiola’s resistance to overactive stress hormones may benefit muscle growing metabolism. Bacopa Whole Herb Extract – This multi-purpose Ayurvedic adaptogen helps boost memory and learning while also reducing amyloid plaque buildup. Students may enjoy this herb for its memory benefits, whereas everyone may enjoy this herb’s cognitive longevity boosts. More on Bacopa Monnieri. TeaCrine® Theacrine – Supplement manufacturers often include this caffeine-like compound with caffeine for its supposed extending benefits on caffeine’s effects. Essentially qualifies as a semi-stimulant. Like mild focus boosts without the jittery side effects. Phosphatidylserine – This phospholipid plays an important role in brain cell membrane health. As a nootropic ingredient, PS helps improve memory and cognitive longevity. More on Phosphatidylserine. NeuroFactor™ Dried Whole Coffee Fruit Concentrate – An increasingly popular coffee bean extract that uses the full phytochemical profile of coffee beans. May enhance the brain’s neuroprotective resistance against free radicals, improving brain building factors such as NGF and BDNF. 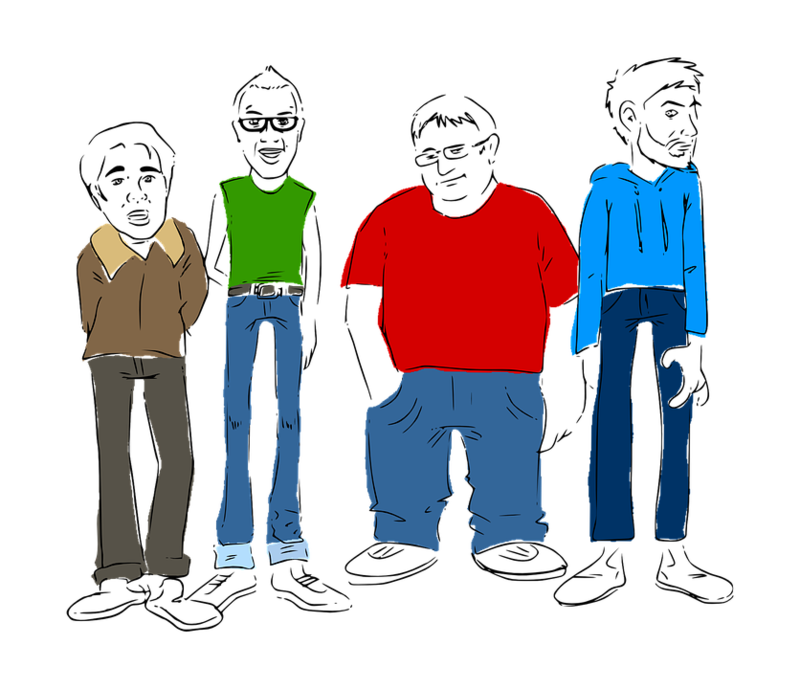 Caffeine Anhydrous – You know what this is: caffeine, the world’s favorite drug. This dosage (100 mg) puts it near the 8oz cup of coffee range, not an incredible amount. More on Caffeine. Lutemax® 2020 Lutein – Taken primarily for eye and vision health, lutein is essentially an antioxidant that helps reduce oxidative free radical damage. Huperzine A – Sourced from Chinese club moss, huperzine-A is a semi-synthetic nootropic compound that may help resist cognitive degeneration by inhibiting acetylcholinesterase, the enzyme responsible for acetylcholine breakdown. More on Huperzine-A. The mind-muscle connection involves several interconnected layers. Most GNC buyers I know buy through GNC primarily for their workout supplements. So, I’m not surprised to see GNC AMP Amplified Focus placing equal emphasis on mental and muscle performance, at least in its ad copy. As a formula, however, there’s not much to gain here on the muscle end. Choline Bitartrate – this does practically nothing for cognitive performance, yet it may improve the cholinergic pathways within the neuromuscular junction (the point at which nerve tissue meets muscle tissue). Rhodiola Rosea – by regulating the release of stress hormone cortisol, a catabolic (muscle diminishing) agent, Rhodiola may help sustain an anabolic (muscle building) metabolic profile. Rhodiola rosea is great. Yet, you may find this ingredient elsewhere — or even as a standalone ingredient to stack with a more focused nootropic brain health stack. And the remaining ingredients are pretty decent for brain health, ranging from the acute mental performance enhancers (e.g., L-tyrosine, theacrine, caffeine) to the more long-term brain health support items (e.g., bacopa, phosphatidylserine, NeuroFactor™). So, I’d say GNC AMP Amplified Focus qualifies as a decent nootropic formula, yet struggles as a muscle performance enhancer. However, that’s a judgment solely on the formula’s contents. If we also factor in the delivery form of this formula, the tablets containing the formula… well, they don’t look that great. Just read the “Other Ingredients” list and count how many additives go into those tablets. It’s a lot. And, generally speaking, a lot of additives usually amounts to weak ingredient absorption. In other words, while GNC AMP Amplified Focus does showcase some impressive ingredients (and they deserve credit for transparently showcasing those ingredients without any proprietary blends), I have legitimate concerns regarding the overall quality and bio-availability of this supplement stack. Despite a couple hiccups, most ingredients in this nootropic stack are impressive and make sense with regards to boosting cognitive performance. The premium, patented ingredients (TeaCrine® and NeuroFactor™) demonstrate some attention to quality control in this formula. Even if muscle performance isn’t quite there, these ingredients may help improve workout-related cognitive functions. More on nootropics for exercise. But, yes, the muscle performance aspect isn’t quite there. I wouldn’t recommend this for boosting your exercise results. Choline bitartrate is a weak cholinergic. A real bummer, considering the immense benefits of other cholinergics (e.g., citicoline). The overall quality of this supplement is pretty junky. GNC has a strange attachment to additive-filled tablets. 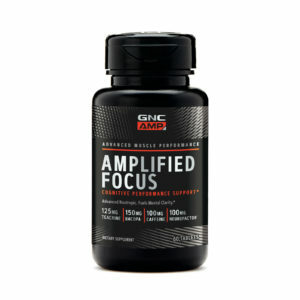 At time of writing, GNC AMP Amplified Focus is listed at the discounted price of $34.99. Other retailers also sell this product at this “discounted” price. However, if you buy through the GNC online store, you may save 10% (+ free shipping) per shipment by selecting the AUTO-DELIVER & SAVE order option. GNC AMP Amplified Focus appeals to the bodybuilding fitness types with its descriptions of “Advanced Muscle Performance” and “Cognitive Muscle Support”; even though it’s primarily a brain health supplement. As I said before, I wouldn’t recommend this for exercise performance, yet it does supply some brain healthy nootropics. You can buy GNC AMP Amplified Focus through GNC (of course), as well as other online retailers such as Amazon. I mean… meh, maybe? For physical performance, I suppose GNC AMP Amplified Focus has ingredients that technically work for exercise (e.g., Rhodiola). However, considering the formula’s greater emphasis on brain health, as well as the supplement’s overall poor quality, I wouldn’t expect any significant improvements in your bench press while taking this supplement stack. N.O. boosters, creatine, herbal adaptogen complexes — these natural performance enhancers seem better geared for greater exercise results. GNC AMP Amplified Focus, on the other hand, is too sporadic in its focus (ironically enough) for it to be all that good for any health benefit in particular. For point of reference, check out my Best Nootropic Supplements of 2018 list to see a few formulas that target mental performance with greater precision. Having said that, if you have a GNC Gift Card and are limited to GNC sold products, you could do much worse than GNC AMP Amplified Focus.